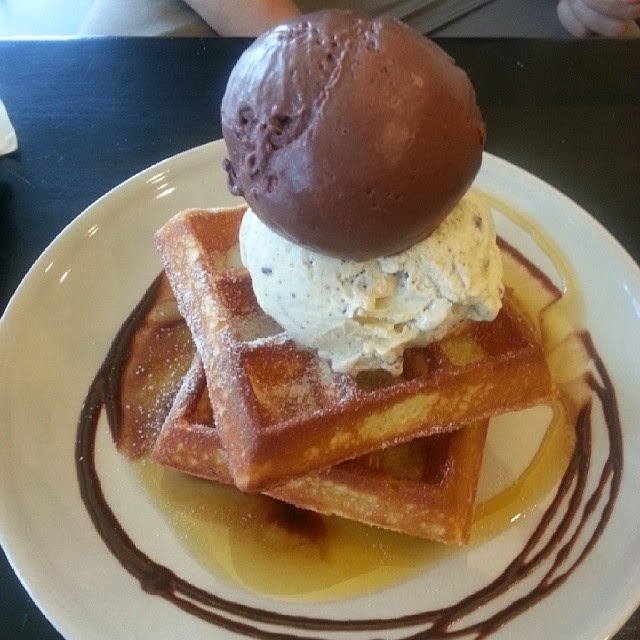 I'm going to recommend the best ice-cream & waffle I've ever eaten! 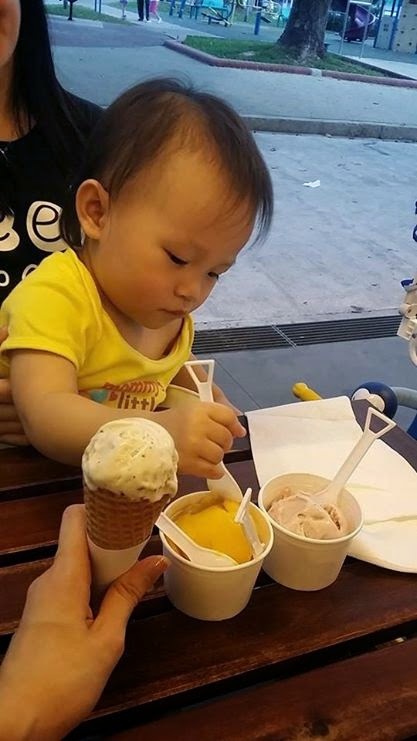 Somewhere in 2011, when I went to the aunt's house, I noticed that there is a new ice-cream cafe which will be opening soon right at the foot of my aunt's block. 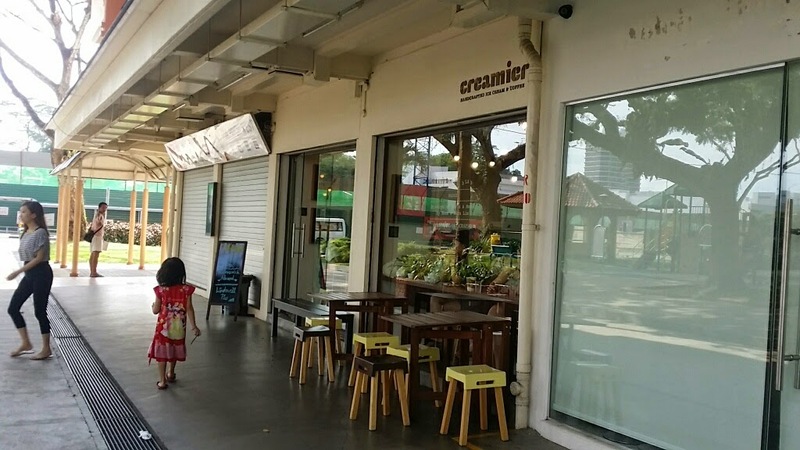 I had this thought in my mind "this estate is so quiet, how can this cafe survive?" I was proved wronged, the business at this cafe prospered over the years! 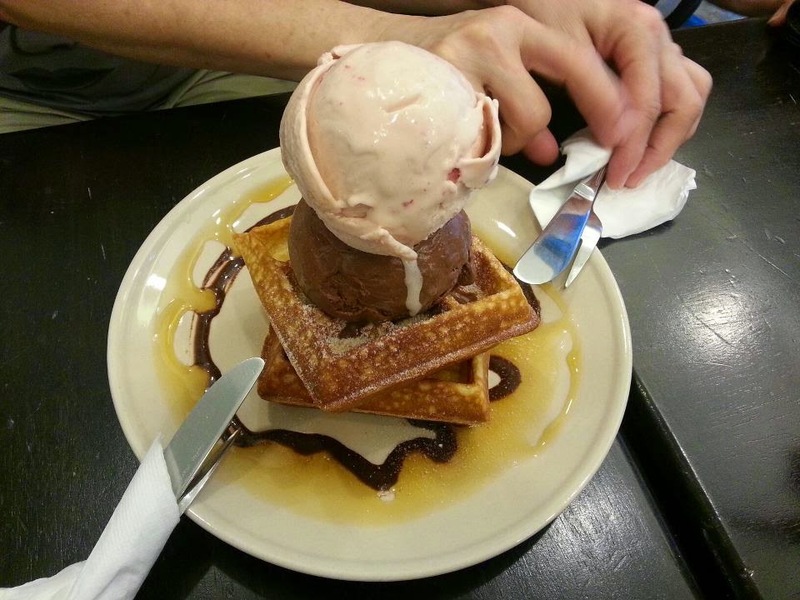 I have never eaten another waffle which can beat the waffles in this cafe. You know why? The waffle was made only after you placed orders, it was warm & crispy and waffle has a really nice fragrant smell! 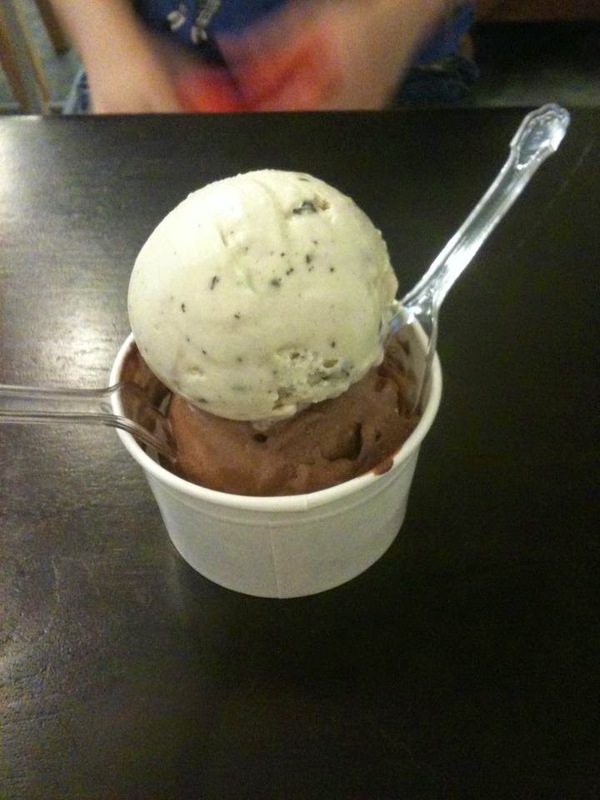 Their ice-cream are created by the owners too, most of them tasted really good! My favorite are banana chocolate chips crumble, plain ole choc, summer strawberries, thai milk tea etc. Oh ya, the lastest added to my favorite list is their new creation - Banana Almond (can't remember the name now). Although I'm not a almond person, but this flavour does not have any tinge of almond, it do consist of alcohol. 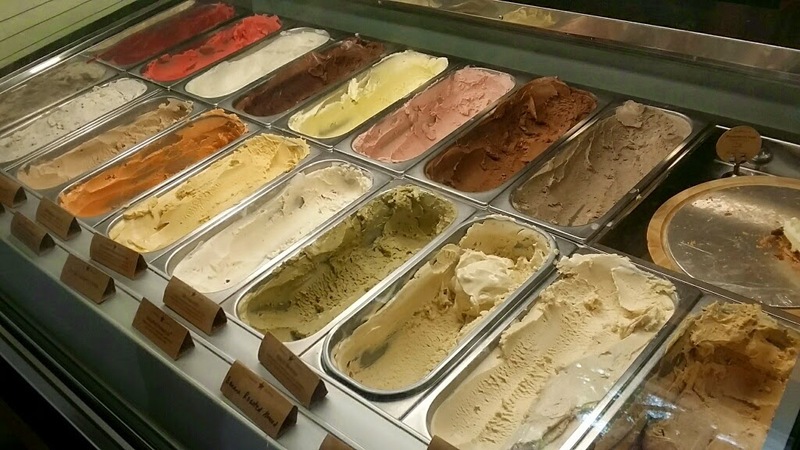 They do have some other flavours such as salted gula melaka, honey yuzu, earl grey lavender, horlicks, lime sorbet etc. 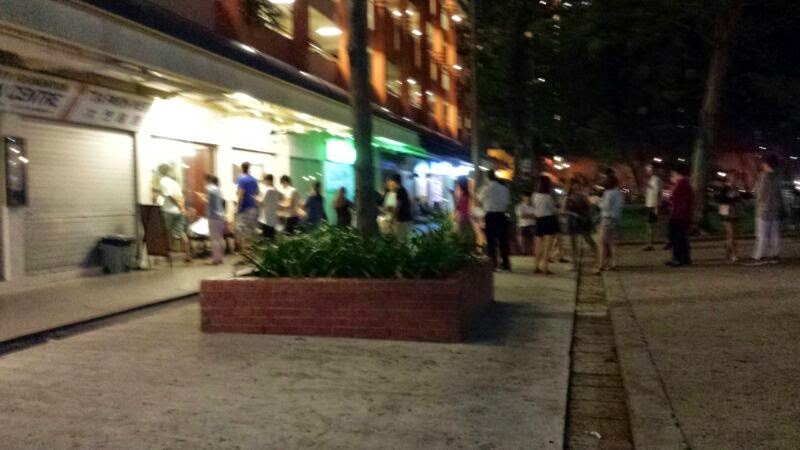 Kindly please note that due to long queues at times, there might be a waiting time of 20-30 minutes for the waffles. If you are going especially on Friday/Saturday, please be prepared to queue.